Northrop Grumman Australia has successfully linked two Royal Australian Air Force simulators with a Northrop Grumman test lab in the US. 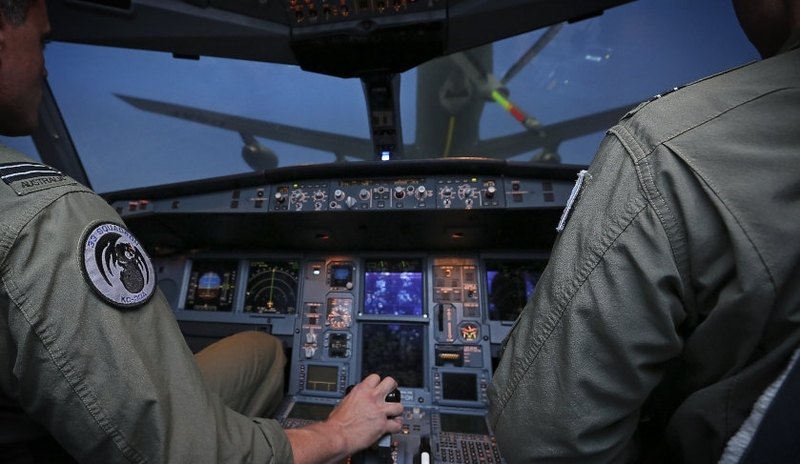 The RAAF KC-30A Multi-Role Tanker Transport and the C-17A Globemaster III simulators located in RAAF Base Amberley in Queensland were networked in with the laboratory providing them with advanced virtual training in Orlando, Florida. The industry-funded demonstration was conducted in conjunction with industry support providers, CAE and L-3 Communications. It follows the first of a four-phased program where the simulators of RAAF’s Air Mobility Group (AMG) KC-30A, C-17A and C-130J Hercules transports were surveyed to determine their operating standards compared to those of the US Air Force’s Distributed Mission Operations Network (DMON). According to Northrop Grumman, DMON enables a variety of different aircraft from around the world to “seamlessly interoperate and train together in a realistic virtual environment”. The survey determined configuration changes required to achieve USAF Mobility Air Force standards. “In these times of increased operational tempo and stretched resources, the ability to connect and execute distributed missions virtually across multiple sites across the globe is a real force-multiplying capability,” said Ian Irving, chief executive, Northrop Grumman Australia. While the product is still in a proof-of-concept phase, according to a Northrop Grumman statement, the test provided the RAAF crews with the necessary fidelity for close formation manoeuvres.